Everyday, many people used the Internet so, it also have good and bad things when you are using the internet with the computer, tablet and smartphone. 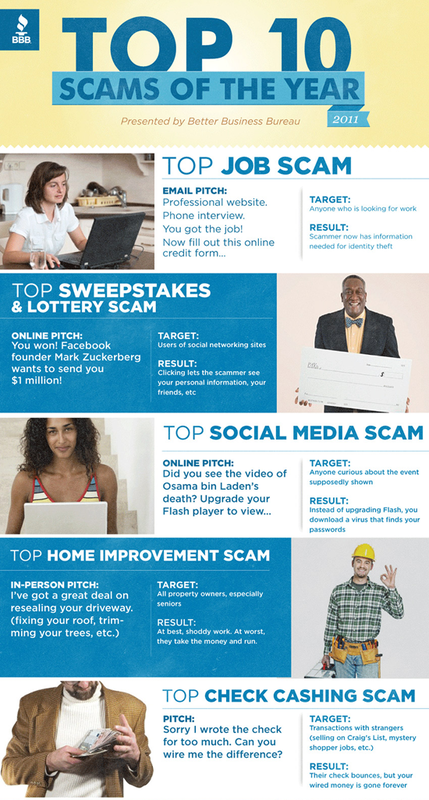 There are some categories like Job Scam, Phishing scam, Sweepstakes, lottery scams, social media scam and sales scam in the Infographic. 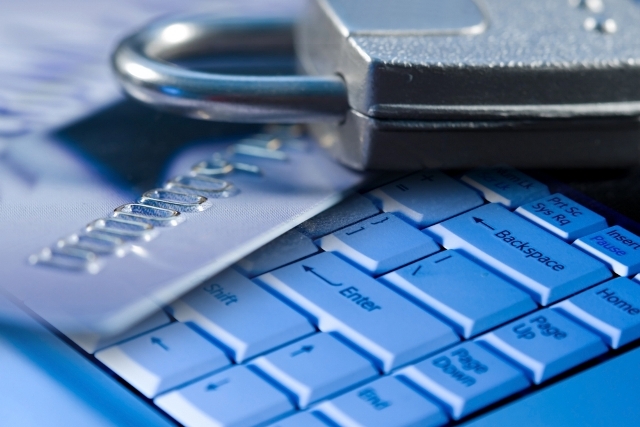 It also include the target and the results of each categories of scams. You should know about how this result of scams! The real companies NEVER ask you to fill the online information form or credit form or your identify information, etc. About the lottery scam, it is normal to send out many email to anybody... If they mentioned that you are lucky winner, you should NEVER believe this. For example, if a fake bank company send out the email to you, they mentioned that your online account have problem or need the updated, they ask you to click the link which they provided in the email. Remember, you NEVER click the link in the email. The real bank companies NEVER ask you for the information identify and password.